Dervishes of Kurdistan: Disappearing World – The village of Baiveh, in Iran’s rugged mountain frontier with Iraq, is home to a group of Kurds who belong to the Quadiri dervishes, a mystical cult of Islam. This program examines the role that religion plays in their daily lives – through ceremonies like the Zikr, in which the dervishes work themselves into an ecstatic trance, able then to endure electric shocks and pass skewers through their flesh without apparently hurting themselves. Sherpas: Disappearing World – Sherpa Tenzing, the first to reach the summit of Mount Everest with Sir Edmund Hillary in 1953, came from the Nepalese village of Thami. Sherpas have since become famous as mountaineer guides, but little is known of their daily village lives and the fierce individualism that characterizes them. This film looks at the contrasting lives of three brothers from Thami. each following a Western entrepreneur who grapples with Chinese business practices and culture. Tony Caldera’s cushion business has been ruined by Chinese imports, but he hopes for a turnaround by building a factory here. Peter Williams is about to embark on the toughest challenge of his life: selling an energy-saving device to the Chinese. Finally, there’s Vance Miller, who gained notoriety for selling cheap Chinese kitchens in Britain. Now he’s in China, determined to overcome setbacks. Interracial Marriage – Two generations ago it was a recipe for social ostracism; a generation ago the tongues wagged; and now there are some once totally clannish ethn ic groups with a 60% rate of intermarriage. This program examines how and why couples of different colors, religions, and ethnic roots are drawn to one another, how their differences affect their marriages, how they deal with their friends, and how their parents make peace with the children-in-law they wish were of their own race or background. 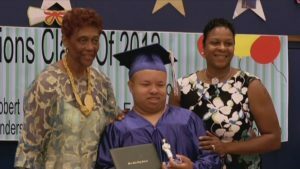 Best Kept Secret – JFK High School, located in a run-down area in Newark, New Jersey, is a public school for all types of students with special education needs. Janet Mino has taught her class of young men with autism for four years. When they all graduate, they will leave the security of the public school system forever. Best Kept Secret follows Ms. Mino and her students over the year and a half before graduation. The clock is ticking to find them a place in the adult world- a job or rare placement in a recreational center – so they do not end up where their predecessors have, sitting at home, institutionalized, or on the streets. being? Divided into two segments, this program first examines the growing trend of binge drinking in women and then provides insight into the physical benefits and risks of moderate drinking. Kathleen Parks and Kate Miller of the Research Institute on Addictions define binge drinking and explain its negative consequences. Then, experts such as Dr. Peter Shields of Georgetown University discuss the health risks, like breast cancer, and the health benefits to the cardiovascular system of moderate drinking. Contains scenes of social drinking. The Silver Screen Revolution: American Cinema 1960–1980 – Rejecting Hollywood’s traditions, young American filmmakers in the 1960s forged a new cinema that held sway for two decades. This program revisits that period through detailed interviews with directors Martin Scorsese (Taxi Driver, Raging Bull) and Lee Schatzberg (The Panic in Needle Park) and production designer Dean Tavoularis (The Godfather trilogy, Apocolypse Now). Scorcese talks at length about the upheaval of the Vietnam era and the challenges of getting Mean Streets made; Schatzberg, in conjunction with legendary producer Dominick Dunne, describes how studio management changes affected Panic; and Tavoularis shares recollections from his long collaboration with Francis Ford Coppola. The Changing Workplace: Technology and Globalization – This video focuses on how technology has changed work, and outlines basic concepts of how and where work can happen. Students are introduced to the principles of global business and the skills essential to stay employable in a global economy. 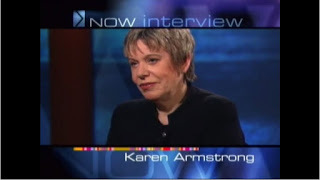 NOW with Bill Moyers: Karen Armstrong on Religious Fundamentalism – “If you were God, would you do away with religion?” With that question, Bill Moyers launches into a discussion with Karen Armstrong, one of the world’s foremost commentators on religious affairs and author of Islam: A Short History. In this program, they seek to understand the psychosocial impact of religious fundamentalism, which frequently elevates God at the expense of personal freedom. Over the course of their dialogue, they also cover the concept of sacredness, the relationship between religion and psychology, and the profound connections among the three religions of the Book—all within the context of Ms. Armstrong’s own spiritual journey from disenchantment to peace. NOW with Bill Moyers: John Esposito on the Struggles of Islam – In this program, Bill Moyers and Georgetown University’s John Esposito – author of Unholy War: Terror in the Name of Islam and editor-in-chief of The Oxford Encyclopedia of the Modern Islamic World – focus on Islam in Asia, where the vast majority of all Muslims live. The conflict within Islamic countries among religious fundamentalists, radical extremists, and the moderate mainstream is considered, along with American geopolitical concerns in the war on global terrorism. Human rights abuses in Indonesia and East Timor, the operation of al Qaeda, and a distinction between holy war and jihad are examined as well. “Can we fight terrorism without it becoming a worldwide clash of cultures?” asks Moyers. 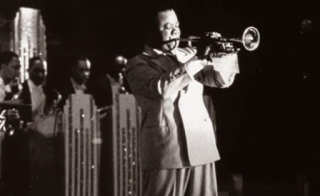 Jazz: A Film by Ken Burns – A study and celebration of America’s greatest original art form, Ken Burns’s ten-part documentary series opens at the dawn of the 20th century and crosses the decades with the exuberance and expressive power of jazz itself. Each episode sheds light on cultural and historical milestones as it introduces viewers to the unforgettable names and accomplishments of the music. From the cradle of New Orleans to the crucibles of Chicago and New York City… from the Harlem Renaissance to the Great Depression to World War II and beyond… Jazz paints an astonishing portrait of a nation and the sound that both captured and set free its spirit. All NJVID subscribers can now avail of attractive discounts for titles licensed from one of the largest educational media distributors – Films Media Group. NJVID will digitize content that subscribers have licensed from FMG and make them available to your faculty, staff and students. The videos are closed captioned captioned and come with a host of rich features such as publisher clips, MARC records, annotations, playlists, reporting, license management tools and much more. All videos can be easily integrated with Learning Management Systems for seamless access to course members. Films Media Group has been dedicated to providing high-quality educational media for over 50 years. Thier exclusive, award winning titles come from more than 850 producers worldwide. FMG provides students, librarians, and educators with authoritative, reliable resources supporting the curriculum across a wide variety of subject areas from history, science, and literature to careers, health, and social issues. Park Avenue: Money, Power, and the American Dream – Why Poverty?